Find out more by contacting UAO at (312) 949-9980. A 6-week Academic and Leadership Institute: Fellows are placed at U.S. colleges and universities for academic institutes. Institutes will focus on skills development in one of three areas: Business and Entrepreneurship, Civic Leadership, or Public Management. A Summit with President Obama in Washington, DC: At the conclusion of the academic and leadership institute, all Fellows will participate in a Presidential Summit. An optional 8-week U.S. Internship: As part of the Fellowship application, individuals may apply to receive practical training at a U.S. business, civil society organization, or public agency in the United States. Approximately 100 Washington Fellows will be selected for U.S.-based internships. Continued Activities in Africa: Fellows will have the opportunity for continued networking opportunities, ongoing professional development, access to seed funding, and community service activities upon their return home after the Fellowship. We invite you to reach out to any qualified young African leaders you may know and encourage them to apply for this prestigious Fellowship opportunity. The online application for the Washington Fellowship and more information can be found at http://youngafricanleaders.state.gov/washington-fellows/. Completed applications, including all supporting documents, are due by January 27, 2014. All applications must be submitted via the online application system. Any questions about the application should be emailed to washingtonfellowship@irex.org. The mortal remains of Nelson Madiba Mandela rest at his birthplace of Qunu, but his immortal vision of Africa united and at peace with itself will stay with us through eternity. Madiba was the crown jewel of African nationalism and its arduous battles against Western colonial occupation of Africa. His early beginnings as an activist were intricately connected to the unfolding forces of the African liberation movement, which emerged at the turn of the twentieth century with the single goal of defeating colonialism and regaining Africa’s independence. He was the last of Africa’s Founding Fathers like Kwame Nkrumah of Ghana, Julius Nyerere of Tanzania, Sekou Toure of Guinea, Patrice Lumumba of the Congo, Jomo Kenyatta of Kenya, Amilcar Cabral of Guinea Bissau, Augustino Neto of Angola, Samora Machel of Mozambique, Leopold Sedar Senghor of Senegal, Milton Margai of Sierra Leone, and Houphouet Boigny of Ivory Coast. His ascendency as the first democratically elected President of a free South Africa in 1994 marked the triumph of African nationalism and the effective end of Africa’s anti-colonial struggles. The death of President Mandela provides us with an opportunity to look back at the life of an exemplary African leader whose legacy will always inspire us in our struggles to advance social justice and human dignity. His was a life of constant struggle and agitation, interrupted only by the twenty-seven years he spent in prison. Far from breaking his spirit and will to fight, the years in prison only hardened his resolve to continue the long march to freedom. No hill of despair was insurmountable for him; no river of personal pain was too wide to cross; and no indignity in prison made him to question his commitment to the liberation struggle of his people. He did not buckle under the weight of apartheid tyranny nor did he lose his sense of destiny. He was, in essence, a prisoner who could not be conquered, bought or sold at the expense of his people. From activist to prisoner and statesman, Madiba embodied the finest tradition of service and sacrifice. He carried himself with a deep sense of pride as an African on whose shoulder rested the fate and hope of a nation in transition from white minority rule to a rainbow nation with liberty for all. Every critical analyst would agree that the new South Africa of today is both Mandela’s baby and its Chief Architect. He was a master strategist who knew how to straddle the delicate balance between the demands of change on the part of the oppressed and the fears of the oppressor. Like a well-trained midwife, Madiba assured South Africans of all backgrounds that the new South Africa will be capable of meeting the challenges of post-apartheid transformation of the country. He became the consummate Hope Dealer and Salesman of a dream for his people and the world at large. Even those who once called him “terrorist” quickly changed their vocabulary after drinking the Mandela Kool-Aid! Without doubt, it could be argued that only Madiba had the ingredients to pull it off with his infectious grace, charm and charisma. If he had so chosen, Mandela would have easily become one of Africa’s failed Life Presidents by pursuing the path of one-party dictatorship because of the super-majority that the African National Congress enjoyed in parliament during his presidency. However, he proved to be a leader with an abiding faith in democracy as a necessary component of African liberation and development. He refused to be the Big Man with concentrated powers in the Office of the Presidency or executive branch. In this sense, Madiba proved to be a great student of history. He learned from the mistakes of other Founding Fathers of post-colonial Africa who overstayed their usefulness in office. By so doing, he became Africa’s preeminent elder statesman. What a remarkable fit by a man who once declared matter-of-factly at the age of thirty-three that he would someday be the first black president of South Africa! Madiba gave us a reason to embrace the truism that, even in the darkest hour when all seems lost and nothing stands between us and the deep blue sea, the forces of oppression, exploitation and greed will eventually crumble in the face of a determined people in pursuit of freedom and justice. As we say goodbye to Africa’s Favorite Son of the hour, let us remember the unfinished business at hand: the long march to a strong and democratic United States of Africa. The powerful currents of African nationalism which galvanized the masses of African people to end colonialism on the continent should be awakened for the final battle for African unity. Liberation and development are two legs of the Golden Stool of African independence, but it cannot stand without a third leg. African unity is the missing third leg of the Golden Stool of African independence. Therefore, it should be the responsibility of Africans to dedicate our lives to this battle of the century. With unity, this will be the African Century. If we prove equal to the task, African unity will be the bulwark against another scramble for Africa and the best guarantor of African independence for eternity. Rest in Peace, Nelson Madiba Mandela! Forward to the United States of Africa!!! 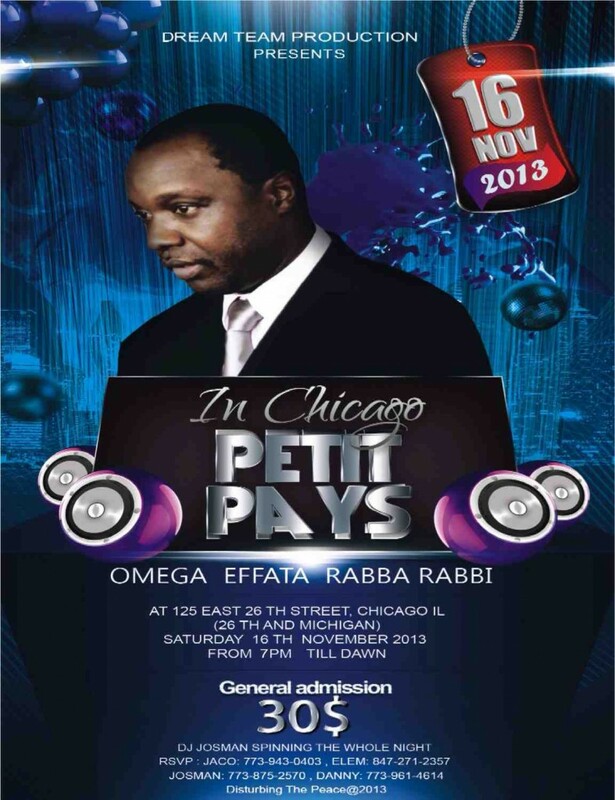 By Alie Kabba, Executive Director of United African Organization in Chicago. For more information, visit www.uniteafricans.org. Newly-minted American citizen Afiavi Amouzoo had one word to describe to the Free Citizenship Workshop: magic. An aspiring nurse and resident of Chicago for the past seven years, Amouzoo came to the US as a refugee in 2006. Thanks to the outreach of the United African Organization (UAO), Amouzoo attended the Free Citizenship Workshop and received American citizenship this past summer. Amouzoo’s path to American citizenship started one fateful day a year or so back when she drove her cousin to an appointment at UAO’s offices located on the IIT campus. Her cousin, the owner and operator of a daycare business, was receiving assistance from UAO in filling out paperwork. While waiting for her cousin, Amouzoo met UAO Program Coordinator Nancy Asirifi-Otchere and received a brochure for the Free Citizenship Workshop. In April of 2013, she attended the Free Citizenship Workshop and received citizenship a few months later. Born in Togo, Amouzoo greatly values the many job and educational opportunities in the US. 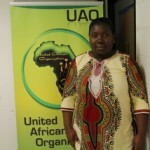 Despite having received her diploma in Togo, Amouzoo encountered great difficulties in finding a job there. “Life was not bad, but it was difficult to get a job. So I came here to study and have a better life,” Amouzoo said. Since becoming an American citizen, Amouzoo has acquired many new benefits. As an American citizen, she now has the ability to return home to Togo for visits, a privilege previously prohibited while she was still a refugee. Amouzoo also sees citizenship as important for her own job security. She knows others whose professional advancement has been hindered by their green card status. 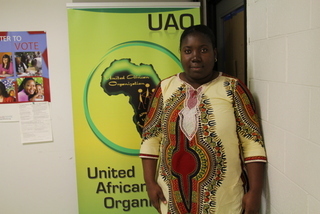 Amouzoo is grateful for the services provided to her by UAO and plans to volunteer with UAO in the future. ”I want to help. I want to do something for the community and for the organization because they helped me,” she said. On January 27, 2013, the governor of Illinois signed Senate Bill 957 into law, allowing undocumented immigrants in Illinois to obtain a temporary visitor driver’s license (TVDL). TVDLs are currently available to other categories of immigrants who cannot obtain a social security number, such as foreign students, spouses and children of temporary workers, and long-term visitors. The new law extends the TVDL to undocumented immigrants who have lived at least one year in Illinois. The TVDL enables an undocumented immigrant to drive legally in Illinois, without being arrested. It does not change the immigration status of its holder, and is not considered a valid form of ID. That is, it cannot be used to board an airplane or enter into a federal government building, for example, but it may be used by hospitals and first responders to indicate the license holder’s name and address. A TVDL is visually distinct from a regular driver’s license; it has a purple color scheme rather than the red color scheme of the regular license. The TVDL is available for driver’s license class D, L, or M (cars and motorcycles) and is valid for three years. A TVDL holder is required to have current liability insurance on the vehicle for the license to be valid. Secretary of State (SOS) offices will begin the process of issuing TVDLs to undocumented immigrants in December 2013. An appointment is required before submitting an application. Starting mid-November, undocumented immigrants can start making appointments to apply for TVDLs at selected SOS offices by calling 885-212-2687 or visiting www.cyberdriveillinois.com. In order to apply for the TVDL, an undocumented immigrant must have lived for at least one year in Illinois, and is required to have valid car liability insurance and pass the applicable vision, written, and driving exams. The application fee is $30 ($35 for motorcycles). - A valid government-issued ID that indicates name and date of birth. - A document that contains a written signature. For example: unexpired foreign passport, consular card, court order, credit card, US government issued ID, mortgage loan agreement, or Mexican electoral card. - A document that proves 12-month residency in Illinois. For example: bank statement, utility bill, home insurance policy, certified school transcript, school tuition invoice. - Two documents that prove current address. For example: consular card, certified school transcript, bank statement within past 90 days, utility bill, home insurance policy, certified school transcript, school tuition invoice. Applicants are allowed to bring an interpreter to assist with the application process. After the application is reviewed and approved by SOS, the TVDL will be issued and sent by mail. Only SOS offices are authorized to issue TVDLs, and there are no additional fees other than the $30 application fee ($35 for motorcycles). It is important to note that at the time of the application, SOS will check the identity and previous driving records of an applicant through facial recognition software. TVDL applicants must finish serving any suspensions for previous violations, including driving without a license or using false information on previous license applications. Click here for quick guides to the TVDL in English, Spanish, Korean, Polish, and Chinese. The new healthcare law, called the Affordable Care Act or ObamaCare, may impact you and your family! Under this law, there will be a new way to buy health insurance, in the health insurance marketplace. You can begin to apply to get health insurance on OCTOBER 1, 2013. Understand what the new healthcare law means for you and your family.